Already now, the Skoda auto manufacturer has presented pictures of the new Fabia model, which will be officially introduced in Paris this October. As we can see in the pictures, it is the new subcompact car, which became bigger than the previous model. The novelty is lower by 1.2 inches, and wider by 3.5 inches. According to the auto manufacturer, the new Fabia includes styling lines and cues from both concept car Vision C that was presented in Geneva this year and, certainly, the sports cars brand as well. 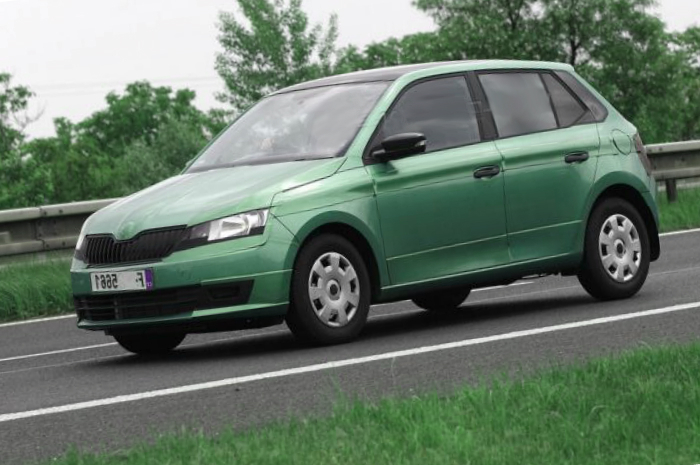 In spite of the carmaker has already issued some new details and facts of the third generation of the Fabia, Skoda does not open information related to the modular platform, which was used for the novelty to base on. However, according to the Mass Media report, the new Fabia is built of the PQ26 platform developed by the Volkswagen Group especially for its Polo model. Meanwhile, there are also rumors that the auto manufacturer decided to use the combination of elements of PQ26 and PQ25. The current version of the Fabia is built on the MQB platform, which is used for the Audi A3, Skoda Octavia and Volkswagen Golf as well. Last month, Skoda announced plans to produce the new Fabia to be available in a wagon and hatchback with five doors. The carmaker is interested in production as much cars as possible to increase the annual selling from 939,200 vehicles last year to about 1.5 million cars. Obviously, the Fabia model takes the second place in the European auto market after the Octavia car. The Fabia has the success in a segment of small cars. Meanwhile, according to the JATO Dynamics, in Europe, selling of the Fabia model dropped by 12 per cent to over 60,000 cars during the first six months of this year. To grow attraction to the novelty, the carmaker plans to equip the new Fabia with some features of the Polo model such as improved safety and infotainment systems, emergency brakes, adaptive cruise control. In addition, there will be the MirrorLink with a touchscreen display. Besides the technical features, the new Polo will also share its three-cylinder engine with the new Fabia. That powertrain is very economy with fuel consumption of 78 mpg. Now we do not have prices for the novelty, however, the current version costs from 11,640 euros in Germany as well.